Recently, The Open Group Healthcare Forum hosted a tweet jam to discuss IT and Enterprise Architecture (EA) issues as they relate to two of the most persistent problems in healthcare: reducing costs and improving patient care. Below I summarize the key points that followed from a rather unique discussion. Unique how? Unique in that rather than address these issues from the perspective of “must do” priorities (including EHR implementation, transitioning to ICD-10, and meeting enhanced HIPAA security requirements), we focused on “should do” opportunities. We asked how stakeholders in the healthcare system can employ “Boundaryless Information Flow™” and standards development through the application of EA approaches that have proven effective in other industries to add new insights and processes to reduce costs and improve quality. Question 1: What barriers exist for collaboration among providers in healthcare, and what can be done to improve things? • Technodad: Isn’t question really what barriers exist for collaboration between providers and patients in healthcare? • Technodad: Agree. Debate needs to identify whose point of view the #healthcare problem is addressing. • Dana_Gardner: Where to begin? A Tower of Babel exists on multiple levels among #healthcare ecosystems. Too complex to fix wholesale. • Dana_Gardner: Improve first by identifying essential collaborative processes that have most impact, and then enable them as secure services. • Technodad: In US at least, solutions will need to be patient-centric to span providers- Bring Your Own Wellness (BYOW™) for HC info. • EricStephens: Are incentives aligned sufficiently to encourage collaboration? + lack of technology integration. • Technodad: I think patents will need to drive the collaboration – they have more incentive to manage info than providers. • jasonsleephd: Who thinks standards development and data sharing is an essential collaboration tool? • EricStephens: Some will deify those in a lab coat. • Technodad: Agree – also displaying, fusing data from different providers, labs, monitors etc. • tetradian: “must financially incented” – often other incentives work better – money can be a distraction – also who pays? • The patient as the most important stakeholder at the center of information flow. Question 2: Does implementing remote patient tele-monitoring and online collaboration drive better and more cost-effective patient care? • efeatherston: Will it? Will those with high deductible plans have ability/understanding/influence to push for it? • efeatherston: Amen. Do that now, monthly uplink, annual check in with doctor to discuss any trends he sees. • tetradian: Assumes tele-monitoring options even exist – very wide range of device-capabilities, from very high to not-much, and still not common. • jasonsleephd: Amen to point about our idiosyncrasies! Still, we have to live with them, and we can do so much better with good information flow! • Dana_Gardner: Governments should remove barriers so more remote patient tele-monitoring occurs. Need to address the malpractice risks issue. • TerryBlevins: Absolutely. Just want the information to go to the right place! • Technodad: . Isn’t “right place” someplace you & all your providers can access? Need interoperability! • TerryBlevins: It requires interoperability yes – the info must flow to those that must know. Participants agreed that remote patient monitoring and telemonitoring can improve collaboration, improve patient care, and put patients more in control of their own healthcare data. However, participants expressed concerns about lack of widespread availability and the related issue of high cost. In addition, they raised important questions about who has access to these data, and they addressed nagging privacy and liability concerns. Question 3: Can a mobile strategy improve patient experience, empowerment and satisfaction? If so, how? • efeatherston: Mobile along with #InternetOfThings, wearables linked to mobile. Contact lens measuring blood sugar in recent article as ex. • TerryBlevins: Sick people, or people getting sick are on the move. In a patient centric world we must match need. • Dana_Gardner: Healthcare should go location-independent. Patient is anywhere, therefore so is care, data, access. More than mobile, IMHO. • Dana_Gardner: As so why do they need to be regional? Cloud can enable supply-demand optimization regardless of location for much. • TerryBlevins: And the caregivers are also on the move! • Dana_Gardner: Also, more machine-driven care, i.e. IBM Watson, for managing the routing and prioritization. Helps mitigate overload. • Technodad: Agree – more on that later! • Technodad: Regional providers are the reality in the US. Would love to have more national/global coverage. • Dana_Gardner: Yes, let the market work its magic by making it a larger market, when information is the key. • Technodad: To me, problem is coordinating among multi providers, labs etc. My health info seems to move at glacial pace then. • jasonsleephd: Regulators, as in FDA or something similar? • tetradian: also beware of IT-centrism and culture – my 90yr-old mother has a cell-phone, but has almost no idea how to use it! • Dana_Gardner: Information and rely of next steps (in prevention or acute care) are key, and can be mobile. Bring care to the patient ASAP. Participants began in full agreement. Mobile health is not even an option but a “given” now. Recognition that provider ability to receive information is lacking. Cloud viewed as means to overcome regionalization of data storage problems. When the discussion turned to further development of mHealth there was some debate on what can be left to the market and whether some form of regulatory action is needed. Question 4: Does better information flow and availability in healthcare reduce operation cost, and free up resources for more patient care? • jasonsleephd: Absolutely. Consider claims processing alone. Admin costs in private health ins. are 20% or more. In Medicare less than 2%. • dianedanamac: I love it when the MD can access my x-rays and lab results so we have more time. • efeatherston: I love it when the MD can access my x-rays and lab results so we have more time. • EricStephens: More info flow + availability -> less admin staff -> more med staff. • jasonsleephd: EricStephens GO CPOE!! • tetradian: don’t forget link b/w information-flows and trust – if trust fails, so does the information-flow – worse than where we started! • jasonsleephd: Yes! Trust is really key to this conversation! • TerryBlevins: A4: @theopengroup can’t forget that if info doesn’t flow sometimes the consequences are fatal, so unblocked the flow. • tetradian: . @TerryBlevins A4: “if info doesn’t flow sometimes the consequences are fatal,” – v.important! • Technodad: . @tetradian To me, problem is coordinating among multi providers, labs etc. My health info seems to move at glacial pace then. • TerryBlevins: A4: @Technodad @tetradian I have heard that a patient moving on a gurney moves faster than the info in a hospital. • Dana_Gardner: A4 Better info flow in #healthcare like web access has helped. Now needs to go further to be interactive, responsive, predictive. • Dana_Gardner: A4 #BigData, #cloud, machine learning can make 1st points of #healthcare contact a tech interface. Not sci-fi, but not here either. Starting with the recognition that this is a very complicated issue, the conversation quickly produced a consensus view that mobile health is key, both to cost reduction and quality improvement and increased patient satisfaction. Trust that information is accurate, available and used to support trust in the provider-patient relationship emerged as a relevant issue. Then, naturally, privacy issues surfaced. Coordination of information flow and lack of interoperability were recognized as important barriers and the conversation finally turned somewhat abstract and technical with mentions of big data and the cloud and pricing information flows without much in the way of specifying how to connect the dots. Question 5: Do you think payers and providers are placing enough focus on using technology to positively impact patient satisfaction? • Technodad: A5: I think there are positive signs but good architecture is lacking. Current course will end w/ provider information stovepipes. • TerryBlevins: A5: @theopengroup Providers are doing more. I think much more is needed for payers – they actually may be worse. • theopengroup: @TerryBlevins Interesting – where do you see opportunities for improvements with payers? • TerryBlevins: A5: @theopengroup like was said below claims processing – an onerous job for providers and patients – mostly info issue. • Technodad: . @EricStephens Amen to that. Stovepipe data in provider systems is barrier to understanding my health & therefore satisfaction. • efeatherston: @tetradian @EricStephens Trickiest question. to the provider is the patient or the payer the customer? • efeatherston: @tetradian So true. • jasonsleephd: . @efeatherston @tetradian @EricStephens Ideally, there should be no dividing line between the payer and the patient! • efeatherston: @jasonsleephd @tetradian @EricStephens Ideally I agree, and long for that ideal world. • TerryBlevins: @EricStephens @jasonsleephd @efeatherston @tetradian … got a LOL out of me. • Technodad: . @tetradian @EricStephens That’s a case of distorted marketplace. #Healthcare architecture must cut through to patient. • tetradian: . @Technodad “That’s a case of distorted marketplace.” – yep. now add in the politics of consultants and their hierarchies, etc? • TerryBlevins: A5: @efeatherston @tetradian @EricStephens in patient cetric world it is the patient and or their proxy. • Dana_Gardner: A5 They are using tech, but patient “satisfaction” not yet a top driver. We have a long ways to go on that. But it can help a ton. • theopengroup: @Dana_Gardner Agree, there’s a long way to go. What would you say is the starting point for providers to tie the two together? • Technodad: A5: I’d be satisfied just to not have to enter my patient info & history on a clipboard in every different provider I go to! • Technodad: A5: The patient/payer discussion is a red herring. If the patient weren’t there, rest of the system would be unnecessary. Very interesting conversation. Positive signs of progress were noted but so too were indications that healthcare will remain far behind the technology curve in the foreseeable future. Providers were given higher “grades” than payers. Yet, claims processing would seemingly be one of the easiest areas for technology-assisted improvement. One discussant noted that there will not be enough focus on technology in healthcare “until the tech folks properly face the non-tech issues”. This would seem to open a wide door for EA experts to enter the healthcare domain! The barriers (and opportunities) to this may be the topic of another tweet jam, or Open Group White Paper. Interestingly, part way into the discussion the topic turned to the lack of a real customer/patient focus in healthcare. Not enough emphasis on patient satisfaction. Not enough attention to patient outcomes. There needs to be a better/closer alignment between what motivates payers and the needs of patients. Question 6: As some have pointed out, many of the EHR systems are highly proprietary, how can standards deliver benefits in healthcare? • TerryBlevins: A6 @theopengroup following up if they shared data through standards maybe they can synchronize. • EricStephens: A6 – Standards lead to better interoperability, increased viscosity of information which will lead to lowers costs, better outcomes. • Technodad: A6: Metcalfe’s law rules! HC’s many providers-many patients structure means interop systems will be > cost effective in long run. The Open Group is the ideal organization to engage in this work. There are many ways to collaborate. 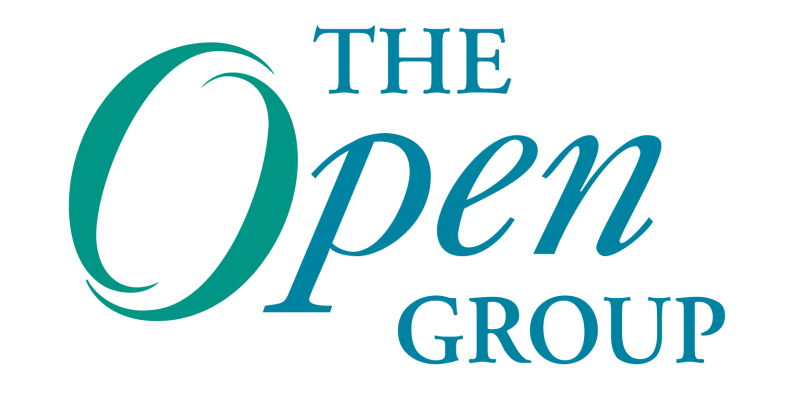 You can join The Open Group Healthcare Forum, follow the Forum on Twitter @ogHealthcare and connect on The Open Group Healthcare Forum LinkedIn Group. Jason Lee, Director of Healthcare and Security Forums at The Open Group, has conducted healthcare research, policy analysis and consulting for over 20 years. He is a nationally recognized expert in healthcare organization, finance and delivery and applies his expertise to a wide range of issues, including healthcare quality, value-based healthcare, and patient-centered outcomes research. 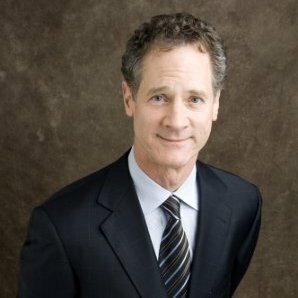 Jason worked for the legislative branch of the U.S. Congress from 1990-2000 — first at GAO, then at CRS, then as Health Policy Counsel for the Chairman of the House Energy and Commerce Committee (in which role the National Journal named him a “Top Congressional Aide” and he was profiled in the Almanac of the Unelected). Subsequently, Jason held roles of increasing responsibility with non-profit organizations — including AcademyHealth, NORC, NIHCM, and NEHI. Jason has published quantitative and qualitative findings in Health Affairs and other journals and his work has been quoted in Newsweek, the Wall Street Journal and a host of trade publications. He is a Fellow of the Employee Benefit Research Institute, was an adjunct faculty member at the George Washington University, and has served on several boards. Jason earned a Ph.D. in social psychology from the University of Michigan and completed two postdoctoral programs (supported by the National Science Foundation and the National Institutes of Health). He is the proud father of twins and lives outside of Boston.